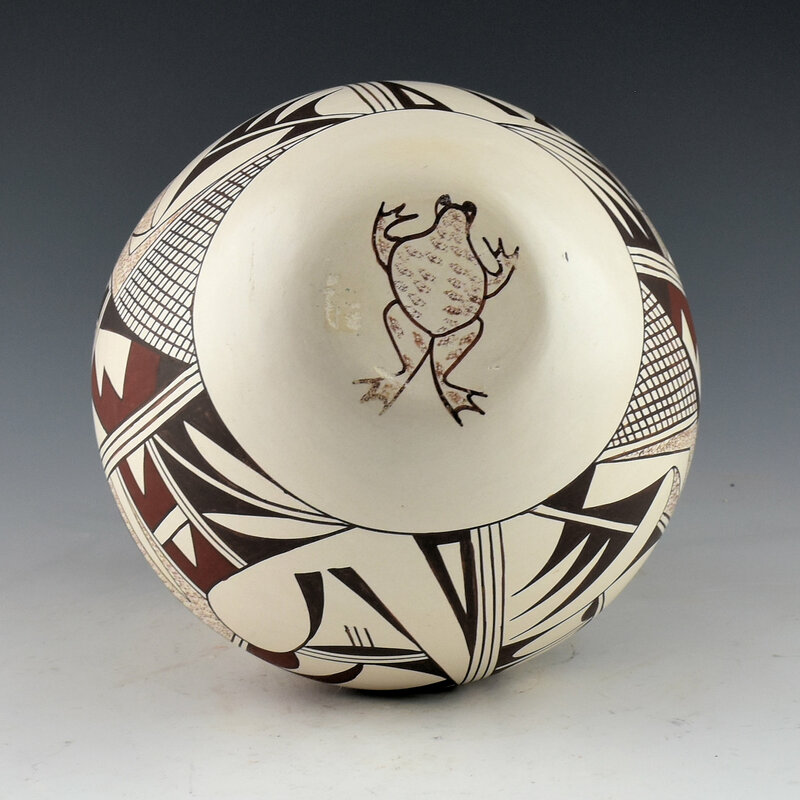 This jar by Joy “Frog Woman” Navasie is one of her classic water jar shapes. 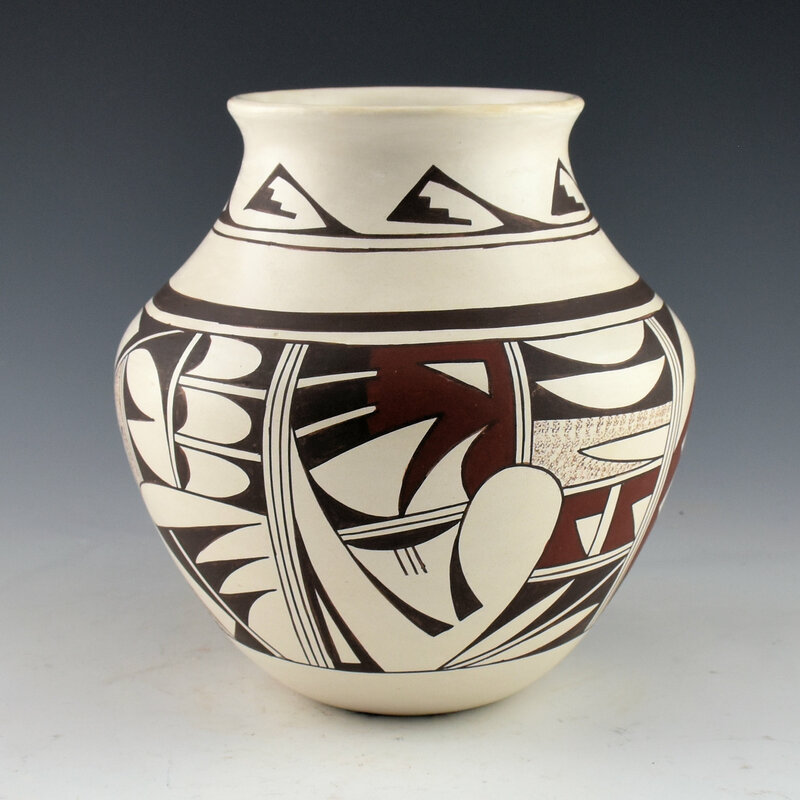 The jar has a high shoulder, an elongated neck and a turned out rim. The body of the jar is painted with four panels of designs. 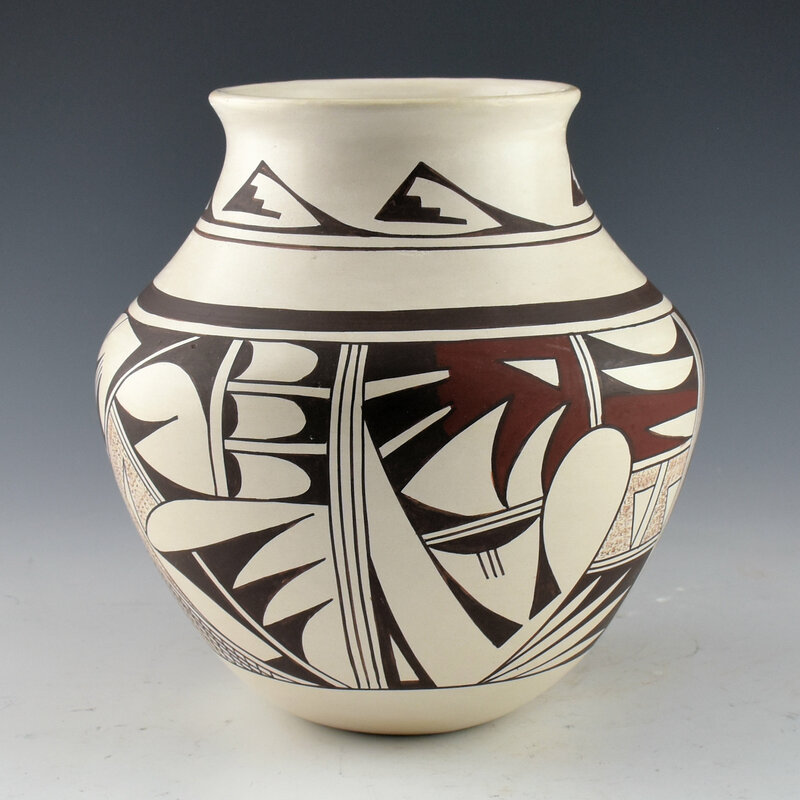 The jar is slipped with the white clay and then painted with natural clay slips and bee-weed (black). It’s nice to see this period of her work painted with such precision to the lines! Two panels are birds and the other two are bird wings. Note the very complex hatchwork patterns, which are an unusual addition to her painting. 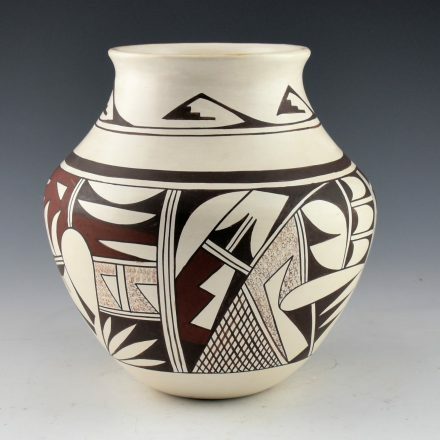 The red clay on this jar is a deeper red clay she began to use in the 1980’s. It has been traditionally fired so there are some variations in the coloration from white to almost a pinkish color. The jar is signed on the bottom with her Frog Hallmark. It is in excellent condition with no chips, cracks, restoration or repair.